Joey Lerner has been running, from place to place and job to job. Now, at 32, she's running from her home in New York City, where the last surviving member of her family has died, to Los Angeles, where she hopes to start over. Never one to follow the rules or take the obvious path, and thanks to her grandfather's hands-on training, Joey gets herself hired as the handyperson at a funky community center owned by an Australian surfer. Soon, the job of leading a Grief Group of young widows and widowers falls into her lap. The problem is - Joey hasn t yet healed from her own losses. Over the next nine months Joey and the Grief Group journey from death to life, together and alone. Along the way, Joey discovers the work she was born to do. 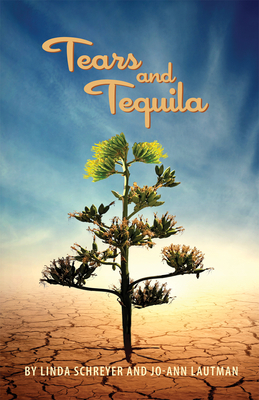 Tears and Tequila is a story of love, loss, friendship, courage and, most of all, renewal; it tells of the healing that happens when you become part of a community in which everybody is missing someone. Linda Schreyer is an award-winning television/ screenwriter. She held staff writing positions on General Hospital, Port Charles, Sunset Beach (winning a Writers Guild Award nomination) and The Bold and the Beautiful; co-wrote the television movies A Place at the Table (receiving The Christopher Award and an Ollie Award) and A House of Secrets and Lies; wrote the screenplay, Ohmigod! for Touchstone Productions and was sent to Moscow by Sony Pictures Television International to teach Russian writers to write for serial television.Jo-Ann Lautman's name is synonymous with bereavement in Los Angeles. Former Director of the Bereavement Program at Stephen S. Wise Temple, she went on to found OUR HOUSE, a renowned grief support center based on the premise that grievers need understanding, support, and connection. Jo-Ann and her award-winning work have been featured in, among others publications, iPeople, Time Magazine, The Los Angeles Times, The Daily News and more.